ADDING THE FUN TO THE PARTY! 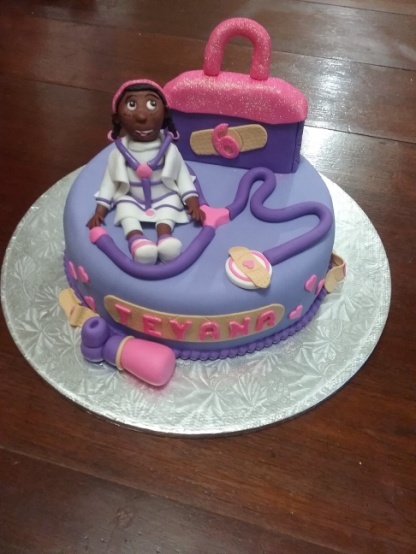 “Doc McStuffins” birthday party for Teyana’s 6th Birthday. Party was held in Rivonia on 30th July 2016. 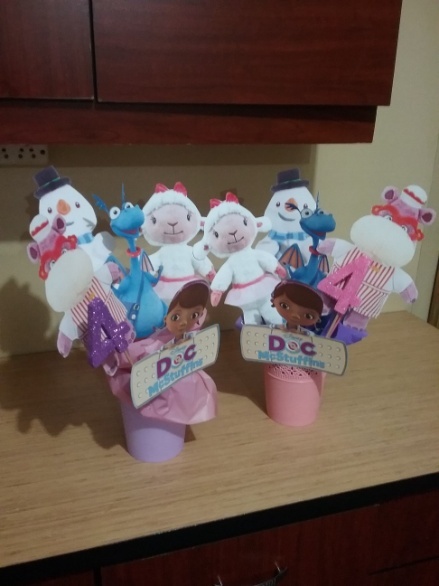 Michelle Pillay is a wonderful mom and customer and it is such a pleasure helping her with any Function or Party. 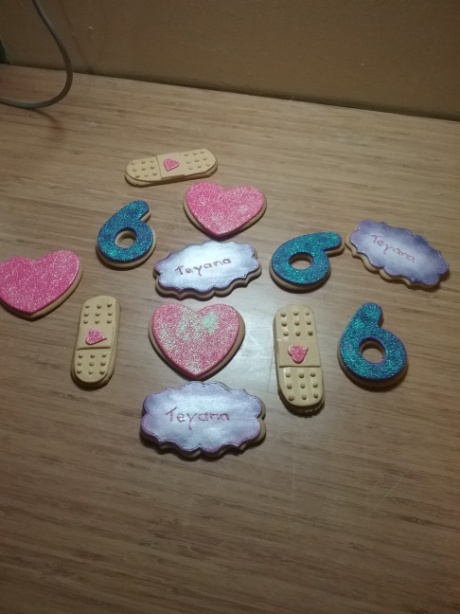 I made Teyana a “Doc McStuffins” birthday cake, Biscuits, Cup cakes, party packs and we also supplied a themed Piñata and some helium Balloons. Michelle also rented a Small 3m x 3m Jumping castle. I also did special table décor for the party table.